Kristie is a social scientist who studies health attitudes and behaviors. She works for a Washington, D.C. research organization. She has spent the past 15 years focused on tobacco, including its use and cessation, and tobacco control laws and policies. 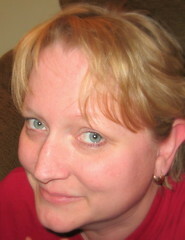 Kristie started blogging in 1999 -- her first weblog post was about lawnmowers -- and she's been hooked ever since. She grew up in the Pacific Northwest, went to college in Florida and then went to graduate school in Arizona. She gardens, sews, knits, cooks and is generally crafty. She and her husband don't have children, but they dote on their niece and children of their friends. You can follow her on Twitter or visit her weblog, Breaching the Web.